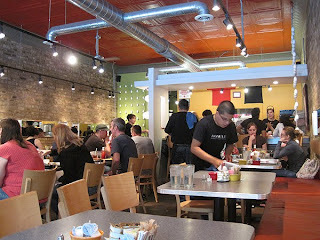 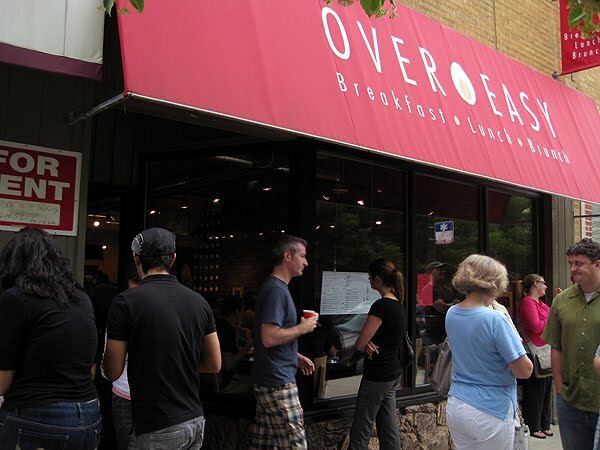 This small, but very popular Ravensood cafe specializes in innovative versions of breakfast classics. Everday (except Mondays when they're closed) Over Easy Cafe closes promptly at 3:00 pm, serves lunch after 11, and serves a delicious brunch menu on Sundays. 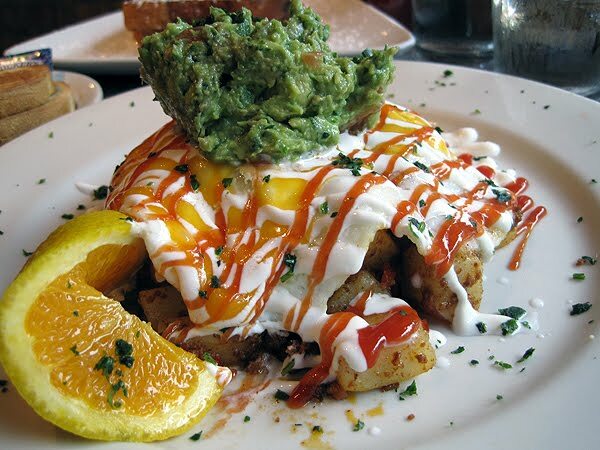 Sassy Eggs: two eggs served over chorizo-potato hash with cheddar cheese, red peppers, jalapenos, guacamole, sour cream, & ancho ketchup. 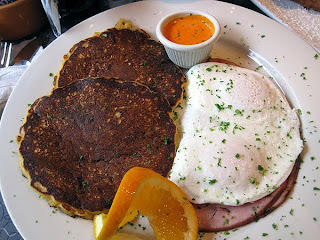 El Gordito's Corn Cakes: two eggs any style, two corn cakes, & grilled spiral-cut ham served with red pepper sauce.